I was at Reading uni for a year. The campus is beautiful, very green and peaceful. The student union is also one of the best in the uk with a bar, a nightclub, numerous shops and even a barbers (I think). If your into partying theres loads of good places to go in town and London is only 25 mins away! The students are very middle class. Glad to hear that you have taken an interest in the University of Reading. Whilst I do not study Ecology and Wildlife Conservation, I can certainly tell you about the university. Societies are a great way to make friends, try something completely different and go on so many trips around the UK and abroad. The union also runs a weekly pub quiz, karaoke and comedy night which are very fun. The union club nights run twice a week and its the biggest night out in Reading. 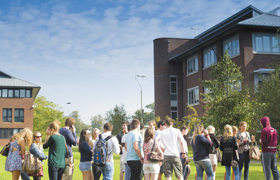 On campus there are so many facilities which makes it very easy to settle into university life in your first year. There are many catering outlets including canteens, cafes, pub and not forgetting our amazing bagel shop! There is also a bank, gym, lettings shop, hairdressers, grocery shop, South Korean shop and post office- all on campus! The doctor's practice is just off campus and the hospital is near town so everything is easily accessible. The town itself is very nice and just a 20-25 minute walk from campus. There are buses that run right into campus regularly which can take you to town also. In town there is a big shopping centre, a cinema, clubs, cafes and restaurants. There are many events that run in town whether it be nights out, live music or poetry slams. It has some great travel links if you wanted to visit different parts of the UK and London is only 30 minutes away. The university offers great support in many aspects whether it be academically, career wise, financially or wellbeing. They run a lot of workshops related to the areas I've just mentioned and this can really help you with your degree, your life at university and beyond. 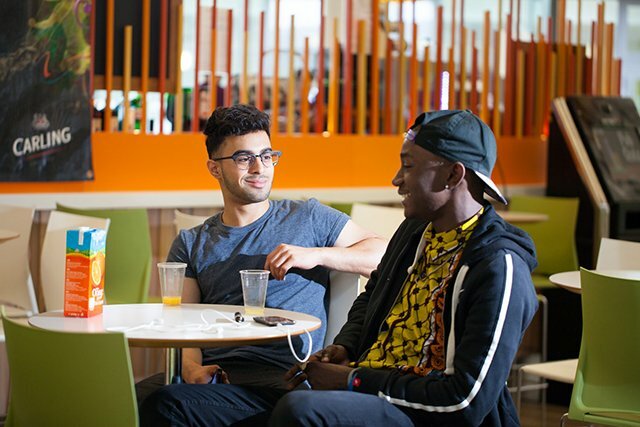 There are many students from so many different backgrounds at the university so its great to meet new people constantly. I've had a brilliant time at the university so far and would definitely recommend it to you. As a zoology student, although not quite the same thing, the campus is fabulous for biological sciences. Conservation and ecology is one of the main areas of study in the department. The campus has been used for teaching many times, and someone I know who is an ecology studnet here and she uses the campsus a lot. I chose this uni becuase of the beautiful campus, perfect for biological science, the staff are really friendly and passionate about the subject and the atmosphere is lovely. I'm still a fresher, but I would recomend it definatly to you. The modules I do will not be the same as your course, but there is some similarity. You get right to it straght away, I learnt something on my first day. I know a few international wildlife conservation students and they love it. Basically everyone is really friendly, passionate about the subject and the campus is an outdoor lab for us to use. There is also the Cole Museam of Zoology, one of the few of its kind in the country. Its been an amazing first ter, here.